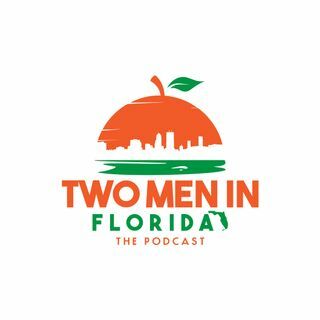 Episode 46 of Two Men In Florida The Podcast... Rob is out on vacation and the guy's are holding down the fort. A quick update on life after the #chocochallenge, the guys took a trip to TPC Sawgrass and enjoyed some of the finer things in life, Google released a new gaming platform, and the guys dive into a little movie talk. March is here and we all know what that means March Madness... get your brackets ready this year is going to be a wild one. Fergie is taking over! All this and as ... Más informaciones always the guys end on "Is it a banger?!" So sit back, relax, and come laugh with us! Way to hold the fort while Rob is out. What happened thought Rob was gonna get a call during the show didn't even hear his name mentioned.